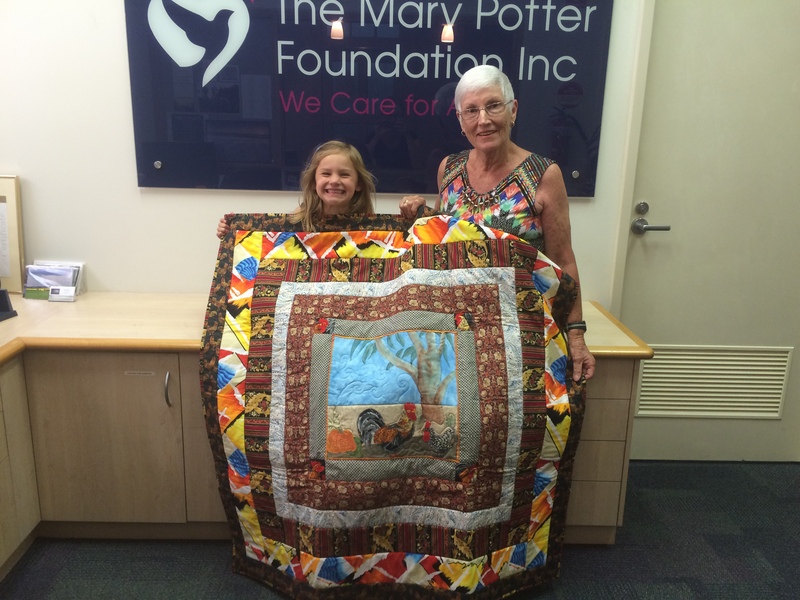 Marion (R) from Renmark Ps & Qs Quilting Group with her little helper Tilly. The quilt program is two years old this month. And what a fantastic program it has been and continues to be. Thanks to the generosity and skill of so many quilters throughout South Australia, we have been able to distribute over 600 handmade quilts to patients during this time. Initially we didn’t realise the impact the quilt program would have. But since that first group of quilts were handed out, so many patients and family members have sent in cards, spoken to a volunteer or called our office to pass on their appreciation. We have been trying to find out which quilting group Meredith belongs to, without success so far. But this message is for everyone who has made something so beautiful and so time consuming - for a complete stranger. Thank you. 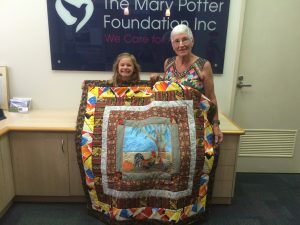 If you would like to make a quilt for a patient at Mary Potter, you can download the instructions here.